And the entries are starting to roll in. 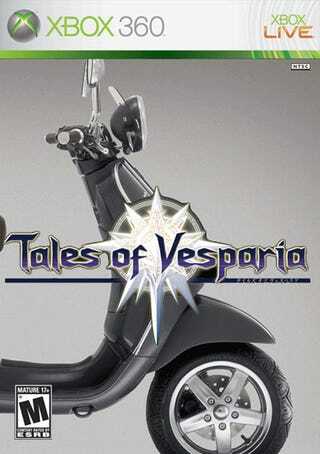 Above Kotaku reader Shane sends his Tales boxart, writing, "I just can't see the game title without thinking about the scooter..." Here's what's going on: Create boxart for an imagery Tales game. That's it! Send your entry to kotakucontestATgmailDOTcom. Contest ends this Friday. Hit the jump for Kotakuite CTZanderman's entry. DO IT!